Since the beginning of my hike, word on the trail is that Oregon is super easy. Seems to be true. I’m doing 28’s and 30’s regularly. Sometimes without trying. It’s like the ground is helping me along. Of course, this has no bearing on the strong allure of real food and cell service. When Cracker Jax, Stomper, and I see that we can make an easy two mile detour to Fish Lake Resort, we take the opportunity. After eating a crazy amount of food, Stomper hikes on and CJ and I camp by the lake (so we can wake up and eat breakfast at the restaurant in the morning). We meet Blox and Pig Pen there and, between the four of us, our table quickly fills with stacks of dishes. Sure, it’s partly the stack of pancakes’ fault, but I’m feeling super unmotivated to hike. I continue with my jokes about hitching back to Ashland. Timex, Chaos, and their friend Obie (who they know from the AT) are sitting at the table next to us. Obie is section hiking to Crater Lake with them. 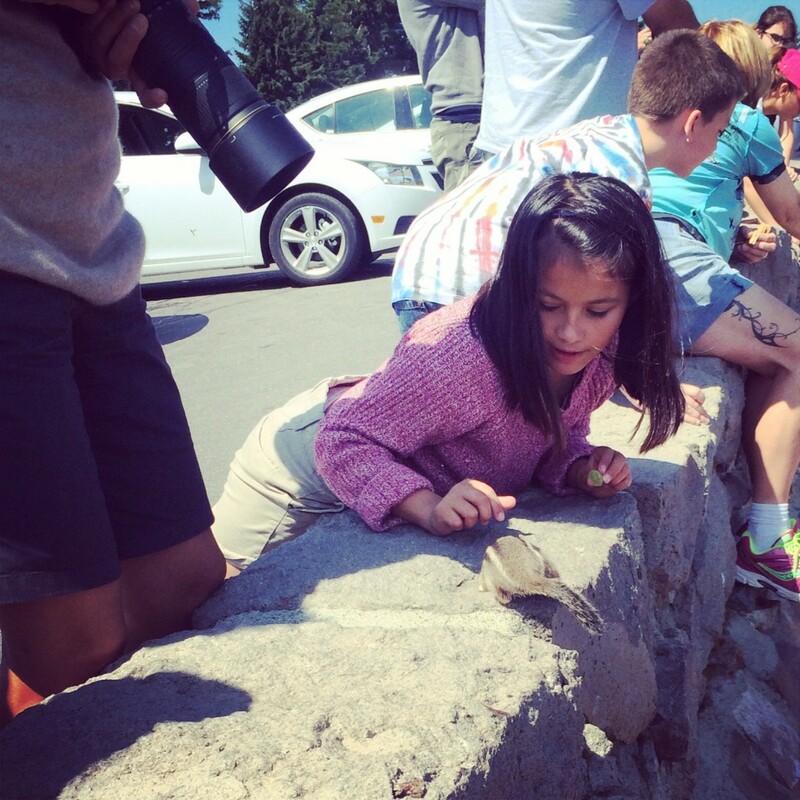 She has a car and is trying to figure out logistics – leave the car at Fish Lake and hitch back from Crater Lake, ask someone to meet her with the car, etc. In any case, she is willing to drive all of us the two miles back to the trailhead. She brings the first batch of us to the trail. Blox and I get out and sigh. We’re REALLY not feeling it today. Obie drives off to get the second batch of hikers. When I see her car coming, there is no doubt that you can see the light bulb appear over my head. Idea! I ask her if it makes sense for me to drive her car to Crater Lake. She looks stunned, “Really!! You would do that for me? ?” In fact, she’s the one who is be doing me the favor. Without much ado she hands over her car to me, a complete stranger. It’s weird to be driving. Plus it’s a Prius. In minutes, Blox and I have yellow blazed it to Crater Lake. I sort out my resupply, eat more food, and get on the trail by 7am the next day. I know yellow blazing is verboten, but I feel a 100% better and totally happy to hike. 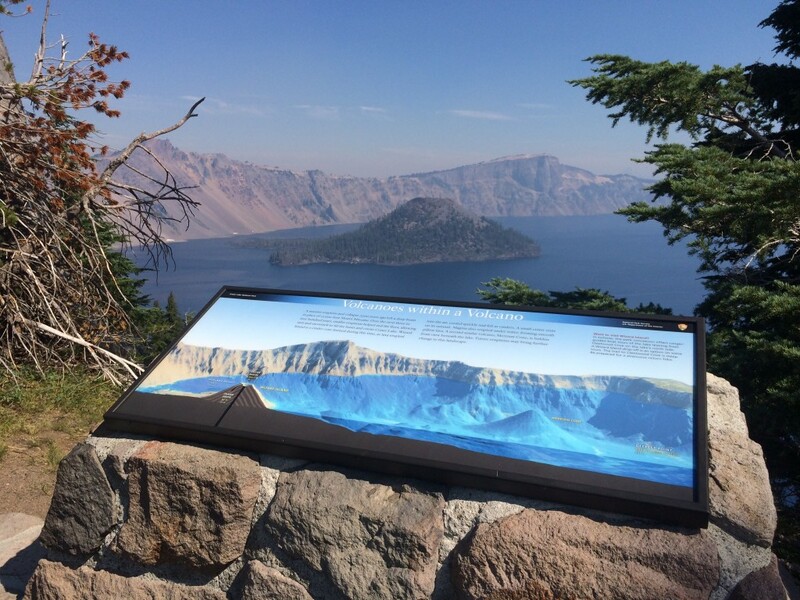 Crater Lake and the Rim Trail are filled with tourists. I stand out with my pack and many of them stop me and ask if I’m hiking the PCT. They want to give me things – cupcakes, almonds, soda – and take my picture. I start to feel like I have more in common with the chipmunks. After a long day of hiking that feels more like sightseeing, I am finally far enough from the lake that I only encounter other hikers. 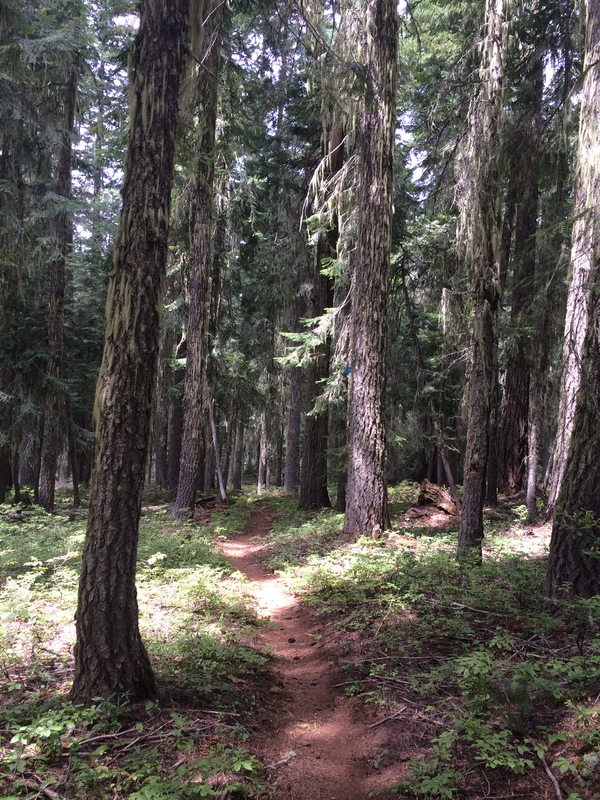 This entry was posted in Transmissions and tagged blox, chaos, cracker jax, crater lake, detour, fish lake resort, food, Hike, obie, Oregon, PCT, pig pen, prius, rim trail, stomper, timex, tourists, trail journal, unmotivated, yellow blaze. Bookmark the permalink.